Day 2 of the India’s Cup 2018. After a day of training (preparing teams for tackling Indian roads and trying local strong beverages!) 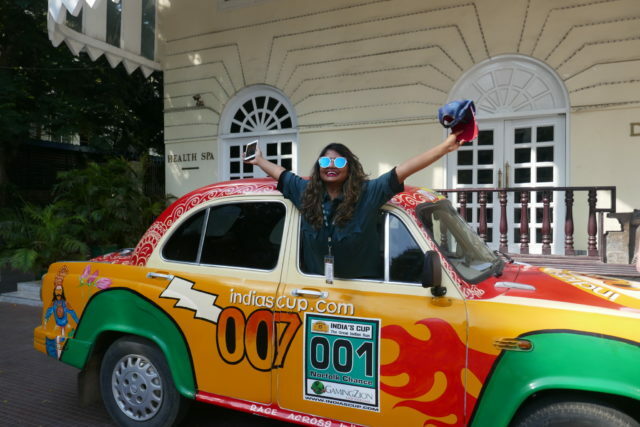 on Day 2 it was time for the India’s Cup to hit the road for real. 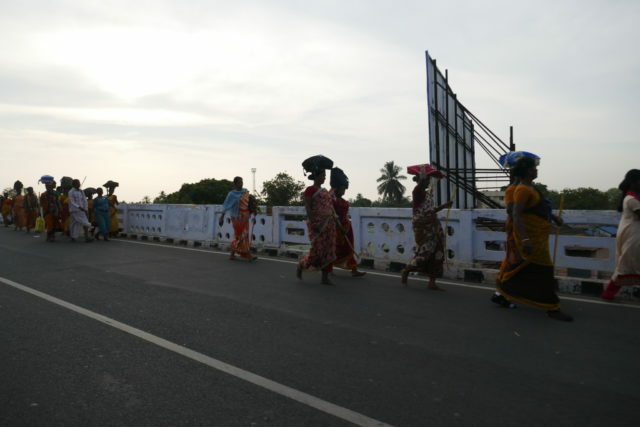 Teams were to drive to the temple city of Thanjavur. It was a day no team would forget for a long time! Teams met early in the morning, and most (hangover-dependent) were excited to get started. Ahead of them lay a beautiful route, but also a great challenge. Old cars can be temperamental, and learning to keep them going can be tricky. Inevitably, there would be engine trouble on the first day. And even when vehicle mechanics weren’t an issue, the new experience of driving Indian highways was sure to test our participants! 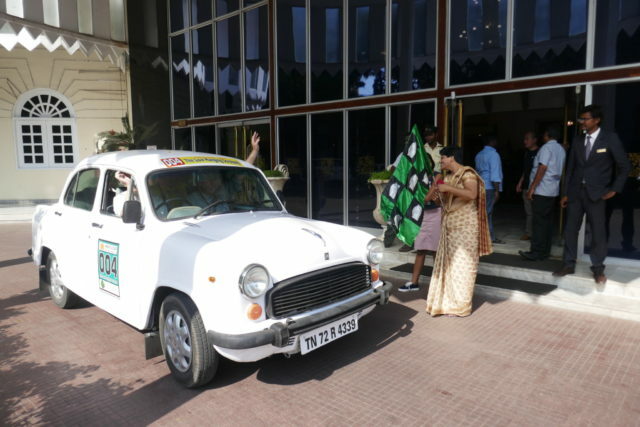 Our hotel were excited by our impending adventure and were delighted to organise an official flag-off for the teams. After smiling for photos, in no time everybody had left Chennai and were making their way to the first point of interest: Mahabalipuram. This town by the Bay of Bengal is famous for its 8th Century Sea Temple, along with many cave carvings. It also has a beach; however, the mid-morning heat was such that venturing too far from the car was ill advised! 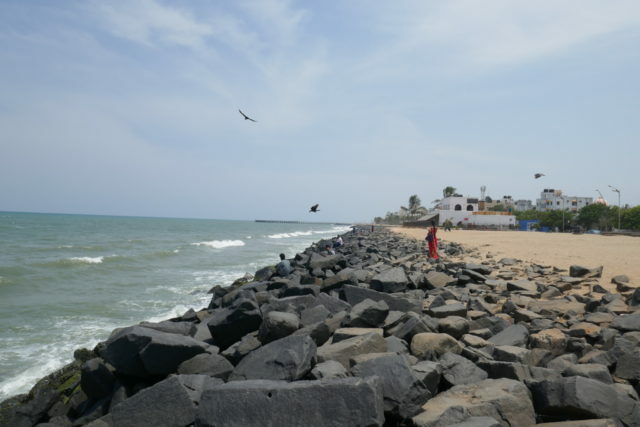 The next stop was the former French colony of Puducherry. It’s famous for its relaxed vibe, along with a cuisine and architectural style quite different to anywhere else on the subcontinent. It also has an impressive beach, where teams were only too pleased to spend a few (warm) minutes. By far the most interesting aspect of the first day (driving aside) was the spectacle of thousands of locals making their way to a temple for a festival. 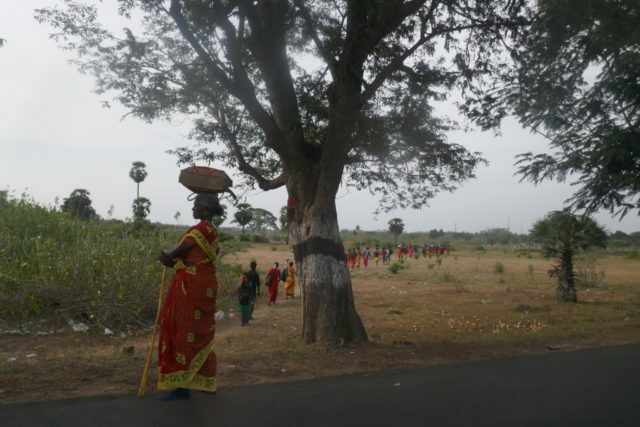 We passed through a small pilgrimage town and noticed a lot of activity, but for hours afterwards on the side of the road was a near-constant stream of barefooted, worshippers-to-be (in searing heat). The pilgrims may have delayed our journey somewhat, but teams couldn’t have asked for a better taste of a very different culture. 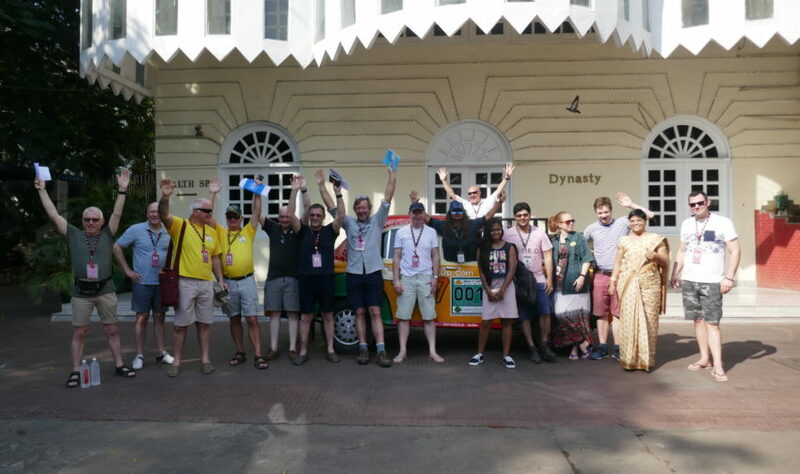 When everyone finally arrived at the hotel, teams were exhausted, perhaps a little shocked by the craziness of other drivers and the challenge the trip would be for the cars. However, at the Travel Scientists we like when our trips are a real test: it makes completing them so much more worthwhile!